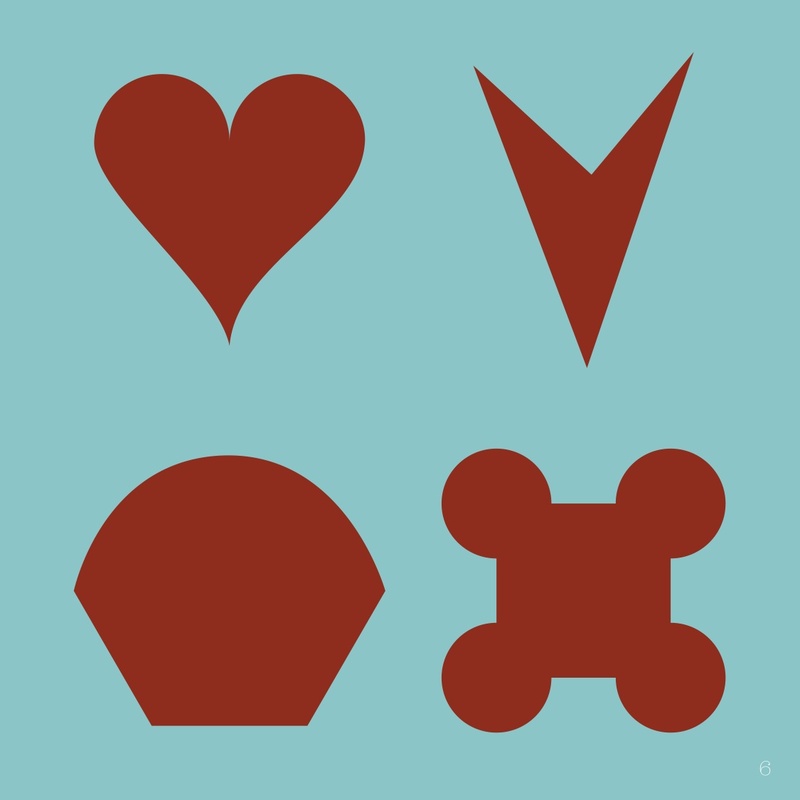 I recently put out a call for K—2 classrooms in which I could talk shapes with students. As a result each of the next several Mondays (Presidents’ Day excluded), I will be in a different early elementary classroom somewhere in the Minneapolis/St Paul metro area. Last week I was at two schools: Dowling in Minneapolis and Echo Park in Burnville. I talked with one kindergarten class, three first grade classes and four second grade classes. I have learned a lot. Young children find composing and decomposing shapes to be much more compelling than adults tend to. They nearly all saw the bottom-right figure here as being a square and four circles. Adults can see that, of course, but we are more likely to think “not a polygon”. On that note, I am now quite certain that we spend way too much time having young children sort polygons from non-polygons. That bottom-right shape has many more interesting properties than that of not being a polygon. For example, a class of second graders on Friday were variously split on the number of “corners” that shape has. Is it 0, 4 or 8? Second graders can understand each other’s arguments for and against these possibilities. These arguments can lead to the reason that mathematicians use vertex instead of corner. “What exactly is a vertex?” is a much richer and meatier mathematical question than “How many vertices does this shape have?” But if that latter question only comes up with respect to convex polygons, then it is unproblematic and not interesting for very long. So imagine for just a moment that the lower-right figure has 8 vertices (and it wouldn’t be too difficult, I now believe, to get a classroom full of second graders to agree to this perspective, whether it agrees with the textbook definition of vertex or not). Now kids can work on stating exactly what makes a vertex. And what makes a vertex is going to be awfully close to what makes a point of non-differentiability (large point at apex of figure below). I’m telling you: in twenty minutes with second graders, we can get very close to investigating things that are challenging for calculus students to describe. My point is that second graders are ready to do some real mathematics, and that sorting polygons from non-polygons is not the road to it. • When kids give us something close to the answer we expect, it is easy to fool ourselves into thinking they understand. Example: on the page below, one boy said about the lower left shape that “if you tip your head, it’s a square.” A couple minutes later, it occurred to me that there might be more to the story. I asked whether the shape is a square when your head isn’t tipped, or whether it only becomes a square when you tip your head. He confirmed that it’s the latter. 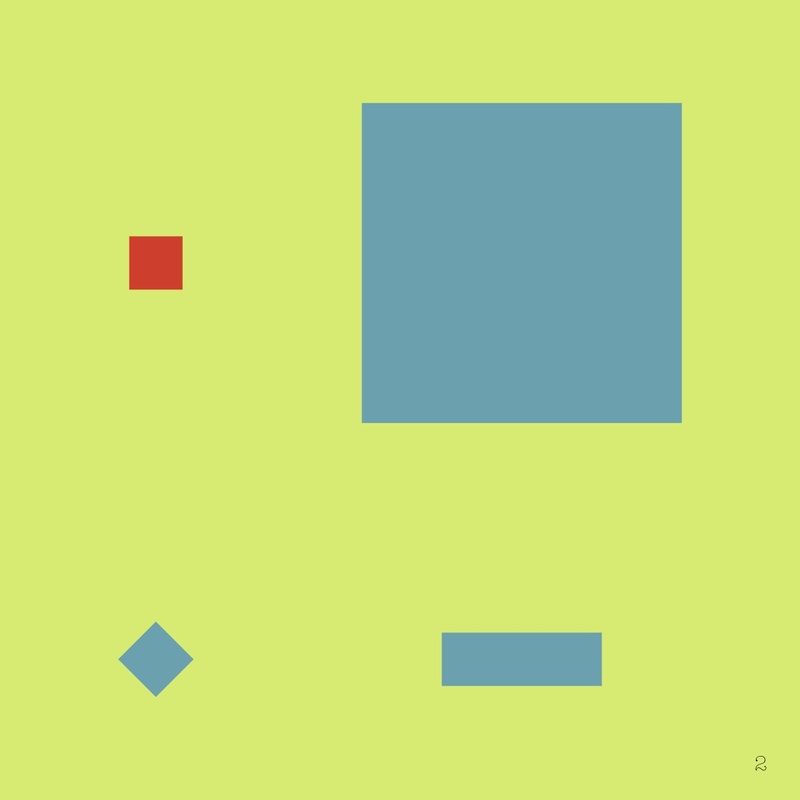 • Another second grade class was unanimous that the one in the lower right doesn’t belong because it’s not a square. When I asked “is the lower left now a square, or does it only become a square when you tip it?” the class was evenly split. This was surprising to both me and the classroom teacher. • Diamondness is entirely dependent on orientation in the mind of a K—2 student. • The 1:1 correspondence of sides of sides to vertices in polygons is not at all obvious to young children. I sort of knew this but saw it come up again and again in our work. 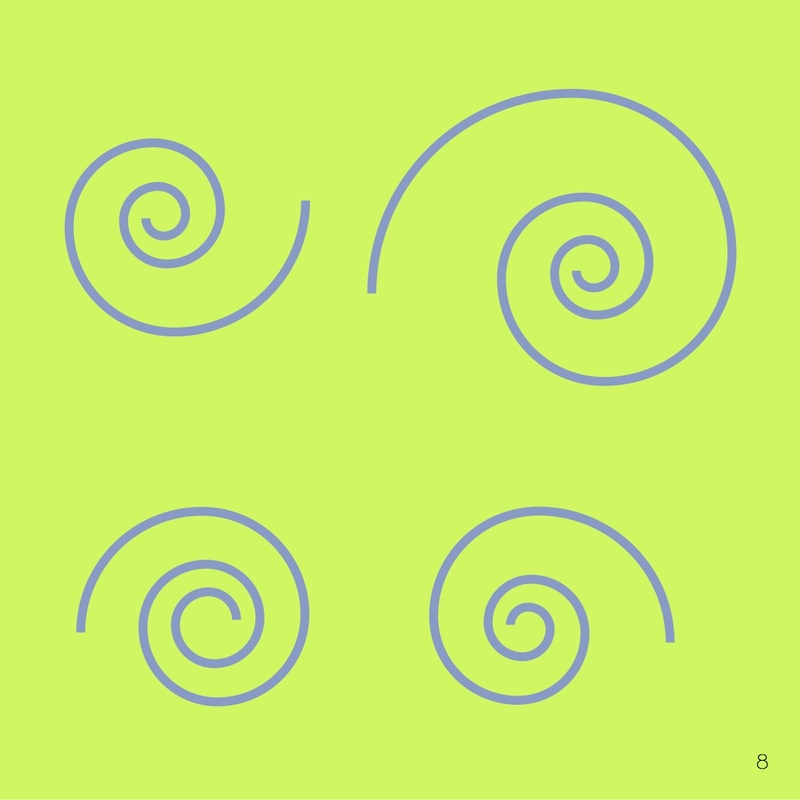 • A first grader said that the spirals below didn’t belong with all the other shapes we had seen that day because “you can’t color them in”. Even the unshaded ones that had come before could have been colored in, you see. These spirals you cannot color in even if you try. What a brilliant and intuitive way into talking about closed figures—those that can be colored in. This entry was posted in Curriculum, Problems (teaching), Reflection, Talking math with your kids and tagged elementary math, geometry, polygons, shapes. Bookmark the permalink. I enjoyed reading about your adventures with K-2 students. It’s great what they bring to the math classroom. I too, love the description of polygons as shapes that can be colored in – interesting. I remember talking with kids about triangles and that there is an “upsidedown” to triangles. very interesting, but none of it surprises me. 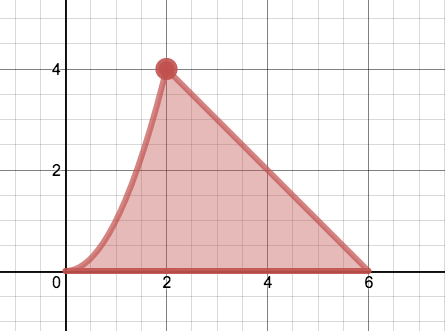 By the way, the official graphical definition of a vertex on a curve is a point of locally maximum curvature. This is probably a bit on the heavy side (!) but corners and cusps fit this definition. The word vertex used for parabolas is technically correct, but the point where the vertex is is also the apex. y = x^4 has two vertices !!! On the orientation of diamondness – that type of explanation is developmentally related, not teacher related. In a few years most students grow out of it. At that young age, incorporating various perspectives into their own perspective is tough. What cool discussions and notices about teaching math at a young level. This is brilliant–what fun conversations to have with young kids!! Thanks for sharing!